Phonak, the Sonova Science & Technology team and the Audiology department at the University of Melbourne are working together to develop a clinical model for the assessment and management of children with ASD. 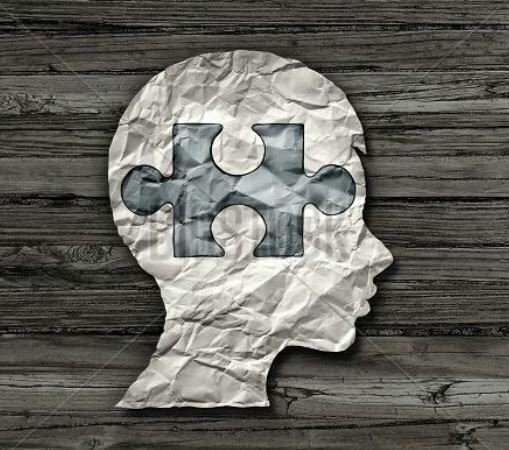 Autism Spectrum Disorder (ASD) is a common but complex neurodevelopmental condition that effects children and adults in a range of ways, largely, their ability to interact with the world around them. The diagnosis of ASD in children is increasing such that currently in Australia, approximately one in one hundred children are diagnosed with the condition. Consequently, pediatric audiologists often find themselves working with the family of a child recently diagnosed with ASD, or a child undergoing investigations into a possible diagnosis of ASD in the future. Despite the wide array of presentations (“If you’ve met one person with Autism, you’ve met one person with Autism”, Dr. Stephen Shore), it is important that audiologists understand the common audiologic implications of ASD and are equipped to administer an appropriate test battery and management plan for these children and young adults. The DSM-5 introduced sensory abnormalities as a core feature of the diagnosis of ASD. Sensory abnormalities can be seen across the visual, somatosensory, olfactory, and of course, auditory domains. Although not the focus of this discussion, it is well worth noting that sensorineural hearing loss is seen more often in children with ASD compared to those without the condition (approx. 0.1% compared to approx. 5%). 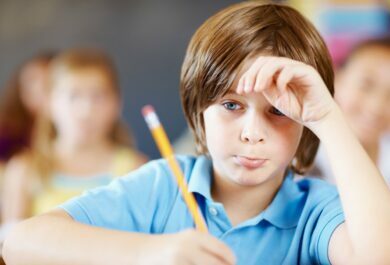 Furthermore, recent research has consistently shown that greater than 50% of children with ASD perform speech perception-in-noise tasks poorly compared to their peers with the same audiograms.1 The speech-in-noise difficulties observed in these children can be severe enough to exacerbate the communication challenges central to this disorder. In my role as Audiologist for Autism based at the University of Melbourne, I am lucky enough to be able to translate this important research into clinical practice whilst building awareness of these findings to colleagues, other health professionals and the broader Autism community. 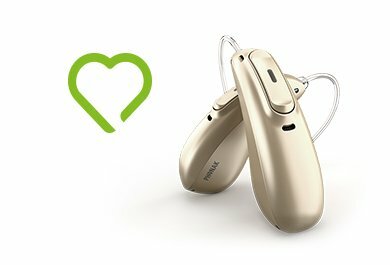 Phonak is collaborating with the Sonova HQ Science & Technology team and the department of Audiology at the University of Melbourne to develop a clinical model for the audiologic assessment and management of children with ASD. Although a work in progress, the importance of going beyond the audiogram to explore auditory processing skills including functional listening assessments to identify potential speech-in-noise and/or spatial listening deficits in these children is evident. Parents and caregivers of children with ASD have shown great interest in learning more about audiology and ASD and have been relieved to hear of a clinic that addresses their concerns. Children and their families who have attended the Autism listening clinic so far have shown great enthusiasm for the Roger technology and have been motivated to trial it in their own school, social, and home environments. Moving forward, we will continue to investigate the short and long-term effects in children wearing the Roger technology in not only their functional listening and attention skills, but across other psychosocial domains including social interaction, well-being and anxiety. Stay tuned! Here is a testimonial video of a student who attended our Autism listening clinic. Josh and his mother share how Roger technology helped him in the classroom. 1Rance, G., Saunders, K., Carew, P., Johansson, M., & Tan, J. (2014). The Use of Listening Devices to Ameliorate Auditory Deficit in Children with Autism. The Journal of Pediatrics, 164(2), 352-357. 2Schafer, E. C., Mathews, L., Mehta, S., Hill, M., Munoz, A., Bishop, R., & Moloney, M. (2013). Personal FM systems for children with autism spectrum disorders (ASD) and/or attention-deficit hyperactivity disorder (ADHD): An initial investigation. Journal of communication disorders, 46(1), 30-52. 3Schafer, E. C., Wright, S., Anderson, C., Jones, J., Pitts, K., Bryant, D., … & Reed, M. P. (2016). Assistive technology evaluations: Remote-microphone technology for children with Autism Spectrum Disorder. Journal of communication disorders, 64, 1-17. 4Rance, G., Chisari, D., Saunders, K., & Rault, J. L. (2017). Reducing listening-related stress in school-aged children with autism spectrum disorder. Journal of autism and developmental disorders, 47(7), 2010-2022. No comments on “Autism and its auditory challenges – the importance of going beyond the audiogram”, yet. 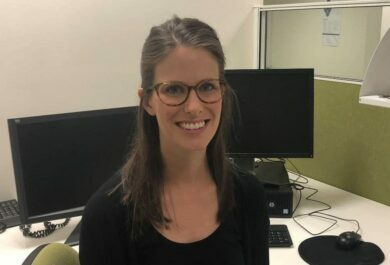 Philippa is working within the Global Phonak pediatric team, and with the Sonova HQ Science & Technology team, to develop a clinical model for the audiologic management of children with Autism. Her prior work history includes hearing aid fitting and counselling, and auditory processing assessment and management. She earned a Master of Clinical Audiology in 2012 from the University of Melbourne and a Doctor of Audiology (Au.D.) from the University of Florida in 2017.